Preslee Jade was the BEST orphan Annie with her curly hair! This homemade costume by our Nana won ALL local contest and got so many compliments! 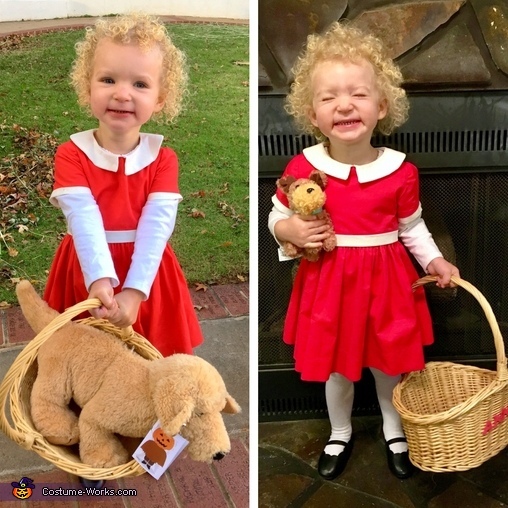 Everyone was so impressed on how well she looked like orphan Annie!